Borderlinx | Buy Aspinal of London and ship worldwide with Borderlinx. Cheap rates guaranteed. Aspinal of London is a London designer, manufacturer and retailer of luxury leather goods and accessories for men and women. Aspinal of London is founded on the fundamental premise of offering the customers the most beautiful objects of unsurpassed quality and design for home & living. Each piece created by designers and each handmade by genuine craftsmen is brought to you at an affordable price and great value. Aspinal of London team is receiving feedback on a daily basis that gives them a lot of satisfaction. By achieving the highest standards of quality, Aspinal of London is exceeding his clients expectations in every way. 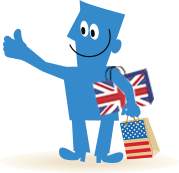 Thanks to Borderlinx, international customers can now buy Aspinal of London in the UK, and Borderlinx will ship your order cheap right to your doorstep! With Borderlinx, shipping, tax & duties are estimated upfront with our Shipping cost calculator, and services such as concierge, free repacking and consolidation services available to make international ordering from Aspinal of London hassle-free!